NonStuff gets off to a flying start on March 16. 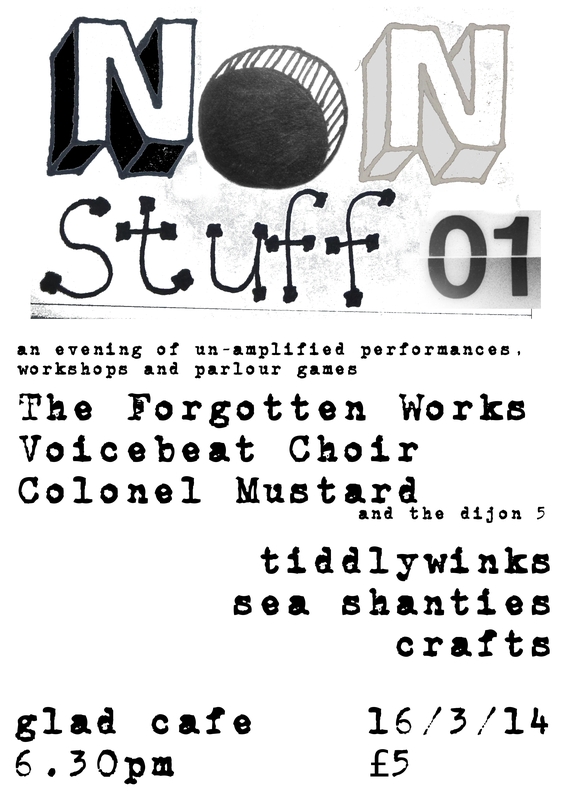 The Forgotten Works host NonStuff #1 with performances from VoiceBeat community choir and Colonel Mustard and the Dijon 5. We also have a tiddlywinks championships, sea shanties and craft workshops.